Gregory V. Bard wrote:As the open-source and free competitor to expensive software like Maple™, Mathematica®, Magma, and MATLAB®, Sage offers anyone with access to a web browser the ability to use cutting-edge mathematical software and display his or her results for others, often with stunning graphics. 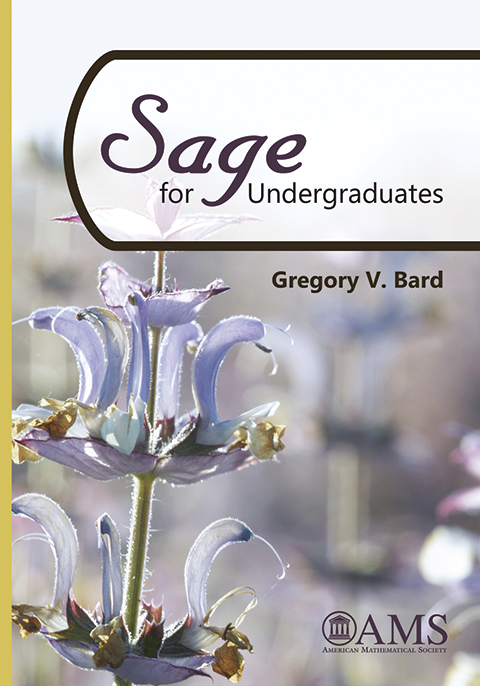 This book is a gentle introduction to Sage for undergraduate students toward the end of Calculus II (single-variable integral calculus) or higher-level course work such as Multivariate Calculus, Differential Equations, Linear Algebra, or Math Modeling. The book assumes no background in computer science, but the reader who finishes the book will have learned about half of a first semester Computer Science I course, including large parts of the Python programming language. The audience of the book is not only math majors, but also physics, engineering, finance, statistics, chemistry, and computer science majors. More info is available at author's website. Gregory V. Bard is Associate Professor of Mathematics in the Department of Mathematics, Statistics and Computer Science, of the University of Wisconsin---Stout, Wisconsin's Polytechnic University. 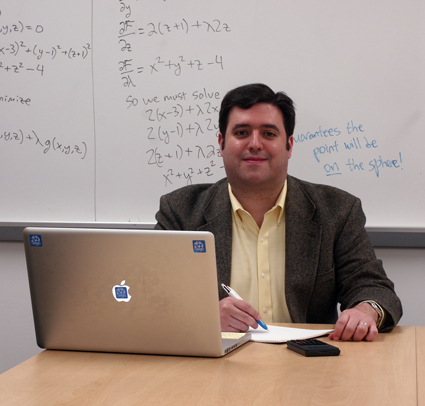 One of his research interests is the use of Computer Algebra packages in the classroom (Calculus II and up) and in undergraduate research.